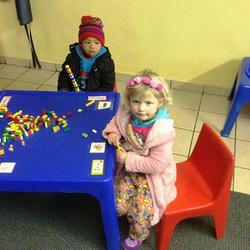 Little Genius is a Christian based school situated in the heart of the West Rand which follows the CAPS curriculum and supported by Impak for homeschooling resources. 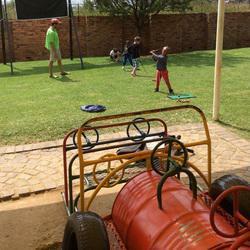 It is easily accessible for parents from Ruimsig, Strubensvallei, Wilgeheuwel and Little Falls. 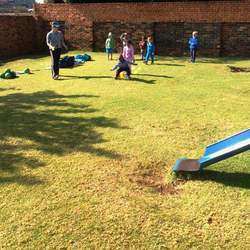 The school was established in 1998 and has since been under the care and management of Magda van der Merwe, co-owner and manager of the school. Magda is a former Westrand Business Woman of the Year (2006). The school is divided into two sections, Nursery School and Learning Centre. Whilst the Nursery School is divided into: 2-3 year olds, followed by the 3-4 year olds lastly the 4-5 year olds. - supported by Impak. (There will be only 12 children per class in Grade R to Grade 3) Spacious classrooms and playgrounds and a kidÕs friendly environment. - The younger children have an assistant with the teacher in the classroom. - A dynamic syllabus is followed with different themes every week. 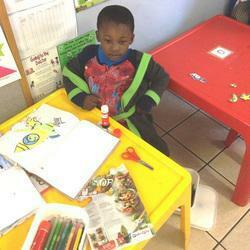 - Assessments of our little ones is done on a daily basis with a mid-year report and end year report. - Transport is provided for children, that is a pick up and drop service. Our teachers have vast experience in teaching and come highly recommended with suitable and verifiable track records of experience in teaching. They each have first aid certificates and are proud to be associated with Little Genius. Every year we at Little Genius have Fun Day(s), Pyjama day(s), Dress-up day(s) and we raise funds for various charity organisations. We encourage parents to be involved, with our Baker day every second Friday and encourage entrepreneurship. The school is open during the year and closes for December holidays and re opens the first working Wednesday in January. The school hours are from 6h30 to 18h00, Monday to Friday. Repeatedly, Little Genius has enjoyed an excellent reputation - enjoying top honours of having its collegians being voted top students at various institutions of learning including but not limited to: Charter House for several years in a row. And impressive results from various other Private and Provincial Schools. A fact we continually pride ourselves in - that our little ones are proof that our passion and high motivational syllabus, indeed yields top students with above par performance with standards well above average! 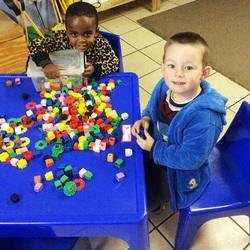 Our motto is to give every child the opportunity to develop themselves to the best of their abilities. 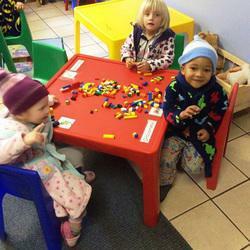 We create an environment in which a child can be safe and nurtured with love and attention.